If you share your computer or it is a public computer, you should leave this box unchecked. "I can't do that! I'm to afraid! There's no way!" What are the things that you're saying to keep you "in your comofort zone?" What are all the different ways you're holding yourself back. Now is the time for you to take risks and challenge yourself so that you can accomplish your goals and achieve your dreams! I would love to join you on the journey of your own personal transformation. Be sure to check out my profile to discover all the different ways we can work, grow, and learn together! 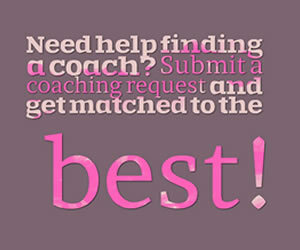 Choose a Top Coach for motivational	success today! Empower-Recover-Enrich Life Coaching MD Individual focused coaching to empower yourself and live an enriched life. Heather Ann Dempsey CCH, Certified Life Coach With over 20+ years of studying eclectic coaching modalities, we will build your dream life! nadia themis BA, PCC, MBA I know how to get things done. I know how to succeed goals, with real practical methods. Coach Arthur Certified Professional Life Coach I support and mentor clients to identify measurable goals and objectives to accomplish results. 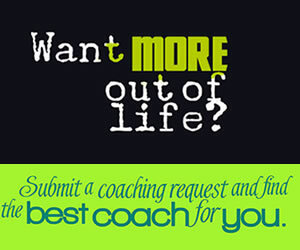 Cedric Ladouceur COTA/L, LIFE COACH Its time to get your life back on track! My coaching focuses on the mind, body & soul! Chris Bouchard Creativity & Empowerment Coach Unleash your creativity, claim your artistry, and unlock your true potential! Everton Bedward Life Coach I help people get unstuck, get clarity and get moving again..
Dream big, then take small steps towards it!